put the flour, nutmeg, yeast, sugar and salt in a bowl and mix together. Add water in bits and mix with your hand till all the ingredients are mixed properly. Using warm water helps the puffs rise faster. the mixture should be smooth but not watery. cover the mixture with foil, making sure its airtight. heat oil , I used a deep pot the oil was about 3/4 inches. I tested to see if the oil was hot enough by putting in a small amount of batter in the oil . If it is not hot enough it will sink at the bottom of the oil. when the oil is hot enough, scoop some more and put into the oil, pressing the batter to come out from between your thumb and index finger. spacing them out , do not overcrowd. fry till it gets golden brown, do not forget to flip the other side. when both sides are golden brown , take them out and put in a sieve and allow to cool. 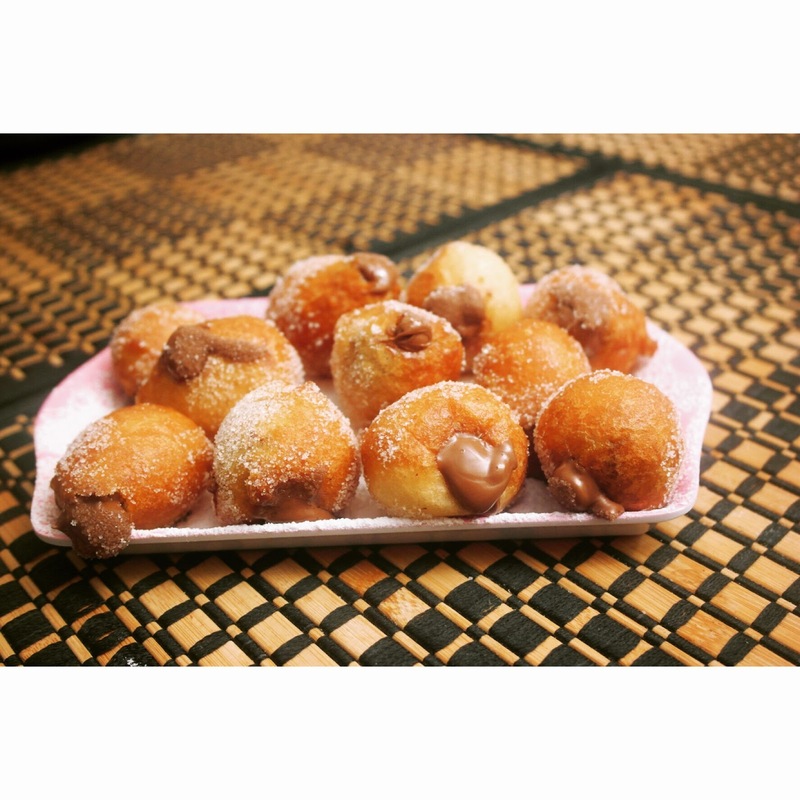 When it is cool, take a pipping bag fill it with nutella and fill in the puffs , do not put too much and make sure the puff puffs are no still hot.roll in sugar and serve.